The next day we woke up early and headed back to the West Bank. Although we’d visited it already on our “tour” with Hamis Travel, we wanted to head back and actually see some things. 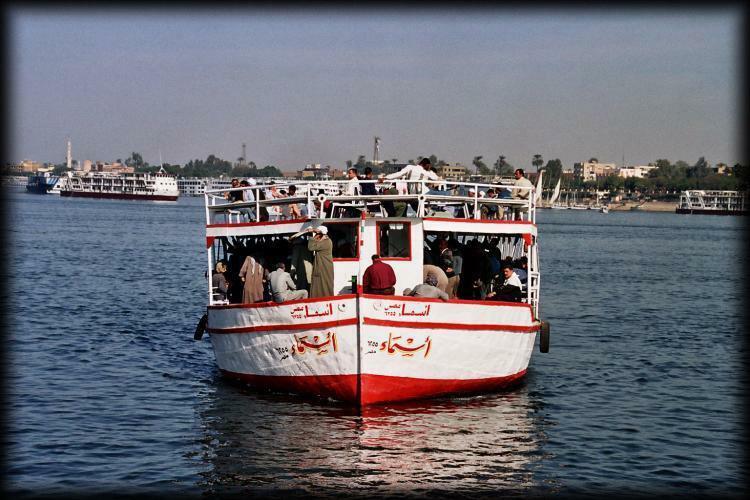 We got a local ferry across the Nile (by the way, this is much faster than the long detour to get to the bridge we had done previously with the tour). We were immediately surrounded by taxi drivers (as expected) and, as usual, found the quiet guy who wasn’t aggressive and haggled with him. Although we had been prepared to pay $50 for a taxi and driver for the day (given what the guidebook told us, and our terrible haggling skills), we managed to get one for only $10 US for 5 hours. It might have been so cheap because it was New Year’s morning, and there were very few tourists. He was reliable, always waiting for us at the sites we visited, and we tipped him 50% at the end of the day. Getting around by taxi is really the best option for the independent traveler who wants to cover a lot of ground on the West Bank. The sites are spread apart, signage is not always there, and the prices for a taxi are cheap. 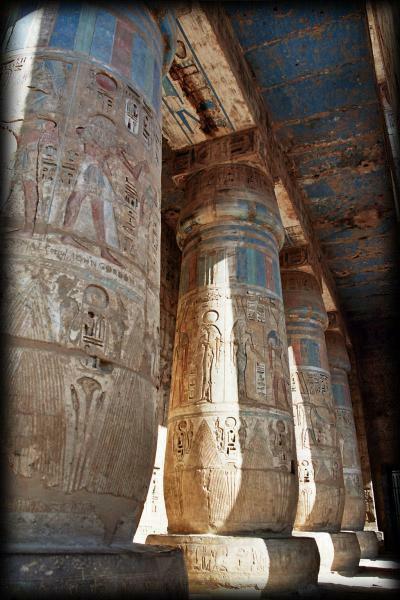 We visited Medinet Habu first. At the time (New Year’s Day) there was only a handful of other people on the site. This was one of our favourite sites on the West Bank. The colors in the paintings were extremely well preserved, and the site was pretty big with lots to explore. Next up we headed to the tombs of the Artisans, with some great underground (very underground) tombs. We were lucky the site was pretty empty. It was VERY hot (even underground), and only small groups are allowed into a tomb at once. We can imagine that on busy days this would not be a fun one. Next up was the Tombs of the Nobles, but we screwed this one up. You buy tickets from the main ticket office (all tickets except Valley of the Kings are bought from a main tourism office on the street leading away from the harbor, and if you fail to buy the tickets here, you have to go BACK there, tickets are NOT available on site!). The problem was that they’ve divided the tombs up into groups and so to see the ones we wanted to see you needed two tickets, one to each of the tombs in that “group”. Although there is only one ticket for the tombs of the nobles, once you visit one tomb within a “group” you can then only visit another tomb in that group with the same ticket. We didn’t understand this. So, we wasted our tombs of the noble entry tickets on a tomb we didn’t really want to see (cause we’d actually managed to find that one 🙂 ), thinking we could still use it later for the other tomb. We still don’t really understand what happened, as none of the guards spoke English very well. Surprisingly, they couldn’t even be bribed. 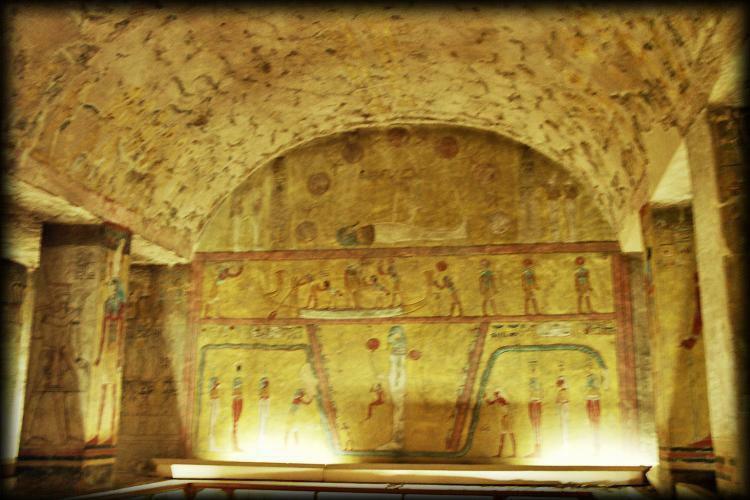 West Bank Tombs and Valley of the Kings, Luxor: The Royal Barque heading off for the underworld. The Valley of the Kings. Unfortunately, a lot of the tombs we wanted to see were closed. We went back to the Valley of the Kings and tried to visit some of the tombs we were not able to see the first time. Unfortunately, most of the tombs we had wanted to see were closed. The good news though was that the tombs we did make it into were all pretty empty, so much so that we even took (flash-free) photos, without fear of suffering the wrath of the guards (or at least having to pay them off). 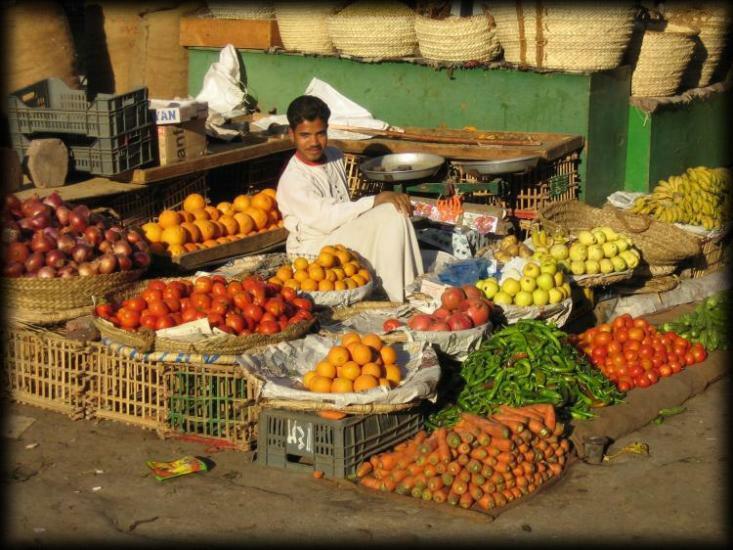 After re-visiting the West Bank, we wandered around Luxor’s street markets, and eventually ended up back at Karnak Temple. There, we spent some more time taking photos and hanging out, soaking it in. In case we had any doubt, listening in on other tour groups made it clear just how completely uninformed and useless the tour guide from Hamis Travel was. 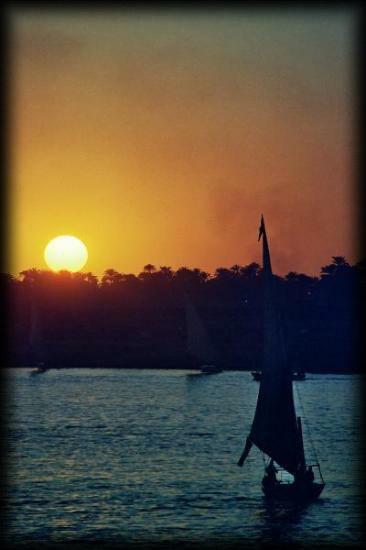 Felucca at sunset on the Nile river. We walked back along the Corniche and watched the sun set over the Nile. We thought about going in to the Luxor Museum, but the ridiculous price tag ($20, if memory serves) dissuaded us. The price had tripled from what our guide book listed (the guide book being 2 years out of date). Student discounts were not substantial. The sleeper compartment on the night train from Luxor to Cairo was very nice. The linens were very clean, the sink was clean, and the toilets in the hall were good too. We walked to the train station and boarded our night train for Cairo. 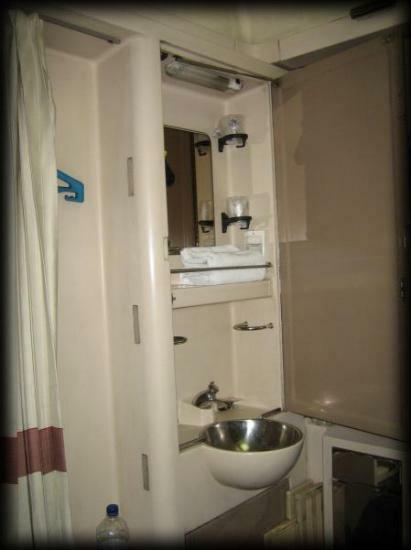 We had reserved a 2 person sleeper cabin, which, while looking a little dated, was very clean. The linens were very nice, the in-room sink was spotless, and the included dinner/breakfast was passable. Not bad for $50.